Summer in Britain is more than picnics in the park, strawberries at Wimbledon, and drinking Pimms at a barbecue. One thing it does better than anyone else is good old-fashioned eccentricity! Adults dancing on hobby horses, faces stretched into hilarious contortions, and a festival of fools make Great Britain THE place to be this summer for tourists seeking adventure off the beaten path. From the sublime to the ridiculous, there’s an unusual activity to satiate every traveller’s metaphorical palate! Head down to the Cornish port town of Padstow on May Day and you’ll find one of the most unusual British traditions where each year, thousands flock to watch two ‘Obby Osses’ (hobby horses) dancing to the beat of drums and accordions. Held over the May Day Bank Holiday weekend, Belfast gets together to laugh itself silly as a whole host of offbeat and alternative comedy acts, circus performers and street theatre combines to make the silliest summer entertainment. A free festival, those coming to Belfast for the event can expect to get their walking shoes on and pound the historic streets, enjoying events like cabaret and comedy as they go. Starting back in 1983, ‘Worm Master’ Nat Lowson and his team of worm-charming officials preside over the annual event each May, where people compete for the dubious accolade of who can charm the worms out of the ground the fastest. An event harking back to the 1800s, cheese-rolling is as bonkers as it sounds. Contestants chase after a speeding wheel of Double Gloucester cheese as big as a newborn baby, and the first to reach the cheese (which can go as fast as 70 miles an hour) is the victor. Quintessentially Scottish, the Highland Games have been an important annual event for centuries. Taking place across several cities, towns and islands across the country, they attract thousands of excited spectators from around the world. 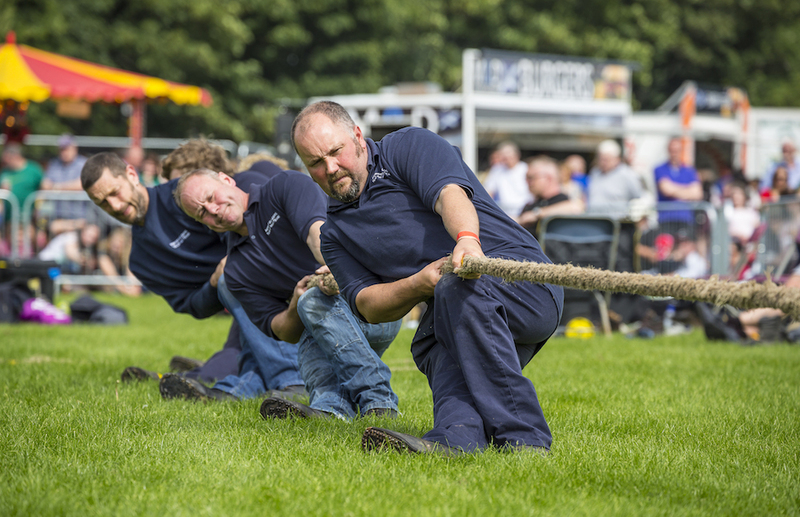 ‘Expect the unexpected’ is an unofficial mantra, as sports such as Caber Toss and Tug ‘O’ War stand alongside best-dressed pet competitions and, of course, Highland dancing. Over a weekend at the end of August, plucky snorkelers race against each other in the murky Waen Rhydd peat bog – they can wear wetsuits, snorkels and flippers but can’t use any recognisable swimming stroke. Hundreds of participants compete each year in the event which Lonely Planet described as one of the Top 50 “Must Do” activities in 2014. Held every September in beautiful Cumbria, the historic Crab Fair has been running since 1267 to celebrate the season of crab apples of September. Alongside street-racing and ‘The Cuddy’, aka horse racing, the fair plays host to the famous World Gurning Championships where folk compete for the title by contorting their faces through a horse collar. A truly strange tradition, it’s thought to have started as a way to “mock the village idiot”, but is now simply a fun competition to see who can pull the most grotesque or silliest face. ← Legendarily Irreverent Comedian, Kathy Griffin, Is Back On The Road!